With all this painting we've got going on around our house, let's talk white trim paint colors and options. And more specifically let's narrow them down to a few designer favorites. I love White Dove by Benjamin Moore! It reads white but has a creamy undertone that will add warmth to any space. 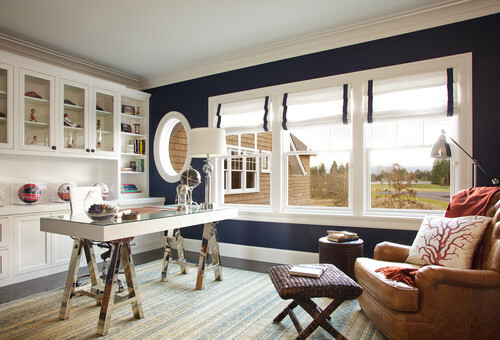 From my research on Houzz, White Dove appears to be one of the most popular trim paint colors available. You just can't go wrong with this hue. 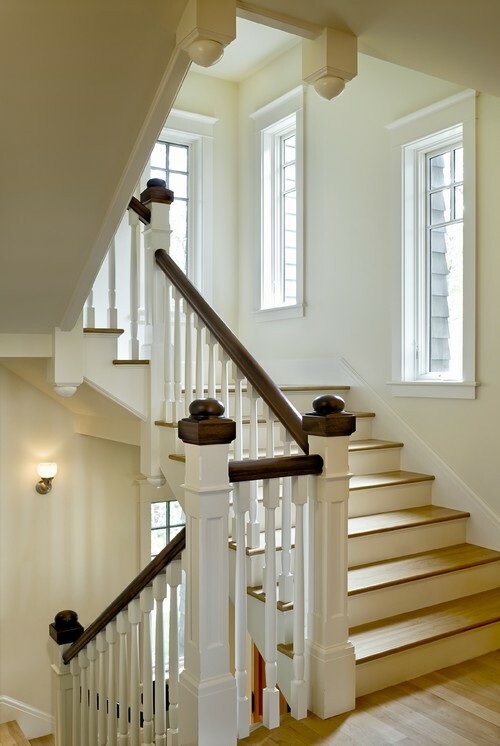 If your looking for a trim paint that is white and bright, then Super White from Benjamin Moore is the one! It's one of the whitest whites available and is perfect if your looking to emphasize contrast in a room and make your trim work pop. The trim and cabinet paint color below is Decorator White from Sherwin Williams. This white is perfect if you plan to paint your walls a darker color creating a lot of contrast between the trim and wall color. Simply put it's a nice white, but not too bright, so it can handle a darker wall color. Beach Style Living Room by Portland Interior Designers & Decorators Garrison Hullinger Interior Design Inc.
Now if your really looking to warm up a space with a light and creamy off white shade, then Linen White from Benjamin Moore is a great choice. And the name really describes how this color both looks and feels…like fresh linen! Okay guys, these are just a few designer favorites! So if it's about time to freshen up your base boards and trim throughout the house, it may be time to re-think your color choice. Maybe choose a brighter white for more contrast? Or a creamy white for added warmth. I can tell you we've chosen Benjamin Moore's Super White and LOVE it! Our house is an older brick colonial built in 1988, and the new bright white trim makes the whole house feel new again. I love that! Love your descriptions. I have a billion Sherwin Williams white paint chips and just about from everywhere else too. Finding the perfect white is such a task for me. Oh it can make you go crazy looking at all those shades next to each other! That's why looking at photos on Houzz has really helped me..
What color color is the beige paint?